In today’s interview I get to speak with board certified US family physician, Dr. Ken Berry, about some of the lies our doctors tell us. Ken is very passionate about helping people optimize their health. He provides medical advice backed by credible research and is not afraid to go against the grain if it means finding what really works for his patients. 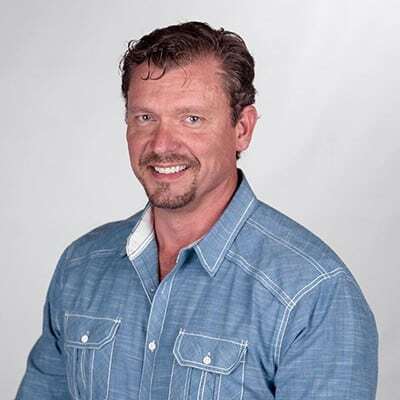 In todays interview we get a chance to talk about some of the “Tennessee truth bombs” about our health and nutrition, what motivated Ken to go out seeking for these truths and the lies we need to stop believing, today! If you know someone who has been trying to lose weight, or is dealing with diabetes, hypertension or other health problems, this interview is for them. I enjoyed this interview as I love speaking with doctors who are helping to change common medical thoughts that are not black and white. People can think something is set in stone, but things change with current research and testing in the real world. After speaking with Ken I have a better understanding about how some of the things we have all commonly believed about our health are not always based on sound research – or in some cases, any proof at all. We should all be encouraged to keep asking questions, do our own research and not be afraid to experiment and change things that we see are not working for us. Find Dr Berry on Facebook, YouTube or go to his practice website. If you like this interview also listen to Dr Ken Berry Carnivore Diet Tips here. [0:20] – Introducing Dr Ken Berry who is a Board Certified family physician. His practice focuses on prevention and optimisation care with treatment of obesity and other chronic diseases caused by the standard American diet. He also has a book out called “Lies my Doctor Told Me: Medical Myths That Can Harm Your Health“, which we are going to be reviewing & talking about today. [1:19] – We learn what motivated Ken to write this book. He explains how he, like every other physician going through medical school, absorbed all the information he received without questioning it. However, being an iconoclast by nature he began to conduct his own research on what he has been taught in school to find research supporting his training. Sometimes he did and what he was taught was right, but other times there was no research supporting it, or worse yet, there was research refuting it. [3:58] – Should we trust our physicians to provide us with the best diet advice? We learn how little training in nutrition a typical medical school provides. There are also no classes on health or prevention, for that matter. [8:25] – Realising how little he was taught about diet and inspired by his own personal experience, Ken spent the last 13 years remedying that fact. After struggling with weight loss using traditional nutritional advice he was taught, which doesn’t work, he learned about nutrition so that he can give his patients good nutritional advice that works. [12:40] – The current nutritional advice Ken gives his patients was largely informed by two books: The Primal Blueprint by Mark Sisson and The Paleo Diet by Loren Cordain. Ken explains how for people who are trying to lose a significant amount of weight and improve lab work, the ketogenic diet is probably necessary but might not be necessary for everybody. For most people he recommends a low carb/high fat, paleo diet for improved health. [17:03] – Exercise is great for us in numerous ways, but it is not key to weight loss! [18:54] – Why Ken doesn’t worry if patients experience (transient) cholesterol elevation; there doesn’t seem to be any meaningful research that this translates into an increased risk of heart attack and stroke. In fact, large, vigorous research studies show it to be inversely related to mortality! [Biohackers Lab Tip: Listen to Dave Feldman explain high cholesterol on a keto diet.] [22:15] – Ken shares a case where a patient cured her type 2 diabetes and hypertension stopping the need for the medication she was taking, as well as drastically reducing her risks for numerous medical issues. However, her total cholesterol went up causing her doctor some concern. We discuss the fallacy of the current lipid theory of heart disease. [29:07] – There is an unspoken social pressure among physicians to uphold the community standard of care. Doctors who don’t follow the guidelines may face fines or be put on probation. Ken uses a great leech analogy to explain. [32:37] – One of the subjects Ken covers in his book is hormones. Ken explains why hormones are like different instruments in a band and why optimising hormone levels is important. There are many conditions, including diabetes and obesity, that are caused by hormonal imbalance. Does a low carb/ketogenic diet or fasting tend to cause thyroid issues for women? Ken has not seen this in his practice. [37:03] – Another hot topic is the carnivore or all-meat diet. While Ken does not recommend this diet, he is not opposed to it. He mentions Dr Shawn Baker, a famous carnivore who continuously breaks athletic records in his age group (he is in his 50’s), as an example of the carnivore diet being a viable option for some people. But not everyone would do so well on this type of diet; perhaps success on this diet has something to do with genetics. These are the types of studies we should be doing! [39:47] – It is understandable why some doctors might be hesitant to recommend a certain diet if there is no research to support it. However, Ken points out that there are no research studies proving that any diet is “the best diet”; keto, or otherwise. [41:10] – One method Ken uses to help his patients lose weight and correct health problems is by starting them on keto initially and then once they are better switching over to paleo if they choose to. Monitoring lab work is important however, to insure issues don’t creep back. [43:23] – In addition to what we talked about above, Ken’s book also covers the dairy lie, sunlight lie, oestrogen in women lie, and more. Ken explains how the dairy lie lauds skim milk as the healthier option when, in reality, taking out the only good part of the milk out (the fat) leaves only lactose and inflammatory proteins which cause blood sugar to spike. Of all dairy products skim milk is the worst! [47:58] – We talk milk. Why do mammals give their babies milk? So, they can grow and gain weight as quickly as possible. Ken always tells his patients that to gain weight as fast as possible they should drink milk. Its not the fat that makes you gain the weight but rather the sugar and the protein. The good news is that most people can still have heavy cream, full fat cheeses, butter and real yoghurt. Microbes used in making these consume the sugar, so we are left with products that are full fat, contain almost no sugar and contain less inflammatory proteins. [52:19] – We talk about other problems that are not always immediately attributed to milk. The proteins in milk are different to human breast milk and can cause intolerances in people. We tend to be too focused on adding something to fix our problems, whether its lotions, pills etc, but often we should be thinking about taking something away. What could be causing our inflammation or other problems? [1:00:54] – Ken’s book Lies my Doctor Told Me is available on amazon in both paperback and kindle versions in most countries. Ken is also working on an audible version as well as Spanish and Hindi versions. While Ken is on all types of social media he tends to focus on his Facebook page @kendberry.md and YouTube page called KenDBerry (you can also search: “fatty pancreas” – he has a number one video on this topic) so go search for him there!